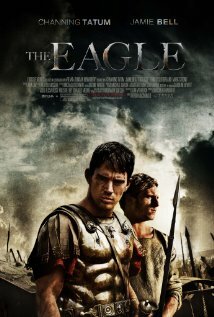 In 140 AD, twenty years after the unexplained disappearance of the entire Ninth Legion in the mountains of Scotland, young centurion Marcus Aquila (Tatum) arrives from Rome to solve the mystery and restore the reputation of his father, the commander of the Ninth. 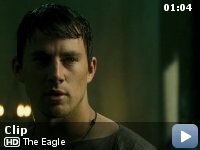 Accompanied only by his British slave Esca (Bell), Marcus sets out across Hadrian's Wall into the uncharted highlands of Caledonia - to confront its savage tribes, make peace with his father's memory, and retrieve the lost legion's golden emblem, the Eagle of the Ninth. The main character's name is Marcus Aquila. Aquila is the Latin word for "Eagle". 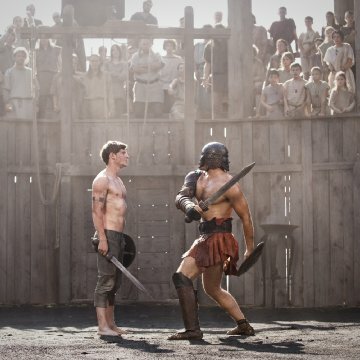 Anachronisms: Marcus noted that Esca knew the Northern language and could interpret. Esca was a Southern Britain and spoke Brythonic, which is close to Welsh. When they pass through Hadrian's Wall into Scotland, Esca speaks in Gaelic to everyone. There were no Gaelic speakers known to be in Scotland in 120 A.D. The inhabitants [the Picts] are believed to have had a working knowledge of Brythonic. The first Roman recording of Gaelic speakers [the Scotti] in Scotland was in a skirmish at Hadrian's Wall in 297, and immigration wasn't until circa 400 A.D. Esca could indeed interpret, but in Brythonic not Gaelic. 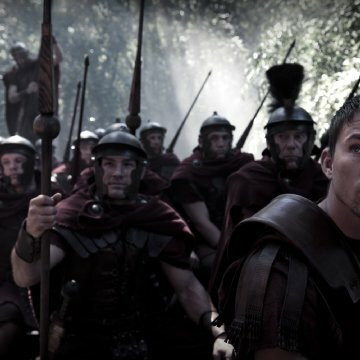 Marcus Aquila: Marcus Flavius Aquila, Fourth Cohort of Gaul, Second Legion, come to relieve the command. 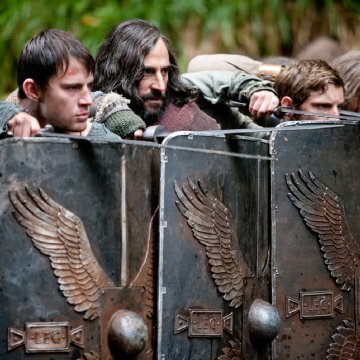 Lutorius: Lutorius Drusillus Salinator, acting senior officer. 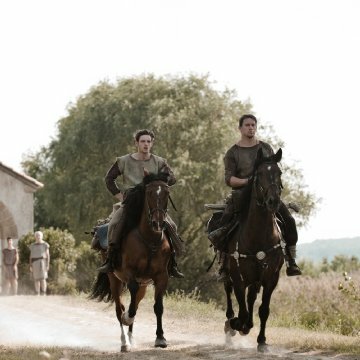 Marcus Aquila: Where's the garrison commander? Lutorius: He left this morning, sir. Couldn't wait to get away. I thoroughly enjoyed this film. The CGI effects seem to have been kept under control, and so the film turned out to be more human than animation. The combat scenes were done in the current style of quick cuts where you just get a vague idea of what is going on, rather than actually being able to follow the blows being struck. 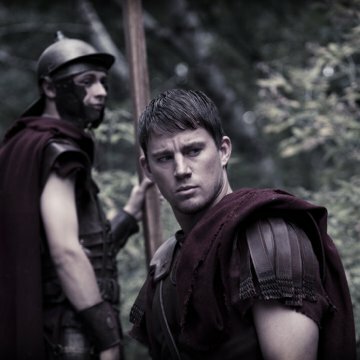 The film seemed mostly faithful to Roman history. It gives a vivid illustration of why Hadrian's wall was built. But I am not totally sure the Roman Senate had a "branch" in Britain. 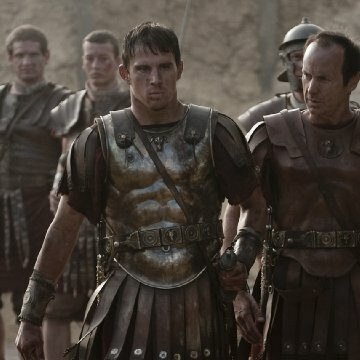 The two leads (Channing Tatum and Jamie Bell) were perfectly suited to their roles, kind of like Hercules and his sidekick from 60s historical adventure films. But minus the corny jokes. There were no banquets with production numbers. And there was no "love interest" written in. And no magical effects or mythical creatures. And it was very easy to follow. And hugely entertaining. It's not art but it's rather good, regardless.